OTTAWA, ONTARIO (March 24, 2019) – The President of Inuit Tapiriit Kanatami, Natan Obed, and the Minister of Indigenous Services, Seamus O’Regan, issued the following statement today: On World Tuberculosis Day, we are pleased to report that progress continues to be made towards the elimination of tuberculosis (TB) in Inuit Nunangat. In 2016, the incidence of TB among Inuit in Inuit Nunangat was more than 300 times higher than in the Canadian-born, non-Indigenous population. 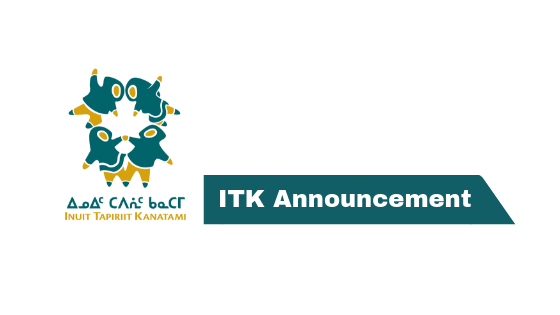 In March 2018, Inuit Tapiriit Kanatami and the Government of Canada committed to reduce active TB by 50% by 2025 and to eliminate TB across Inuit Nunangat by 2030. 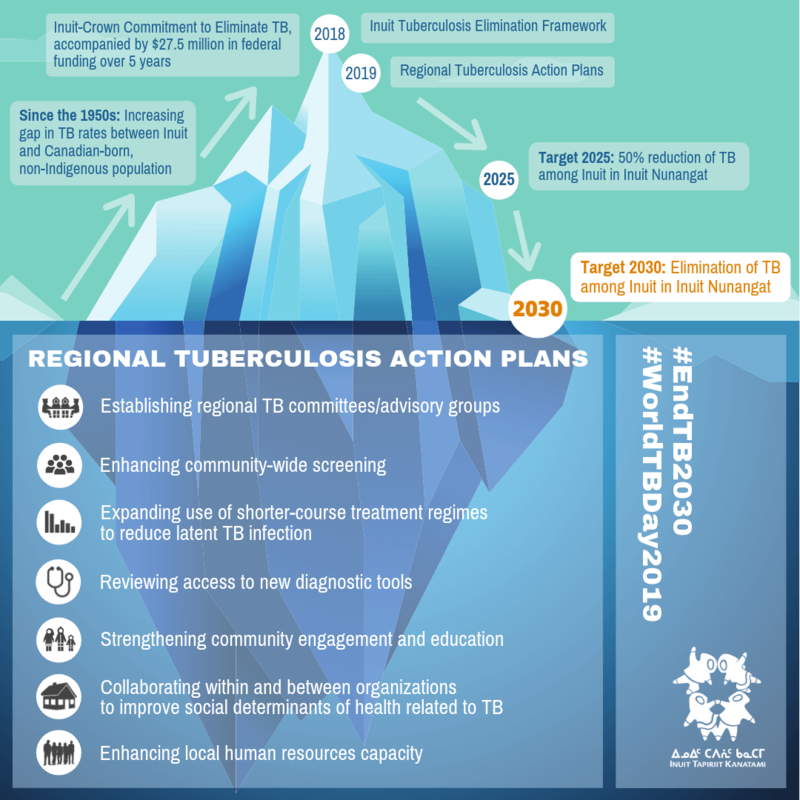 Since then, regional organizations in high TB incidence regions have collaborated with local partners to develop regional action plans outlining how these goals will be achieved across Inuit Nunangat. Ensuring accountability for TB elimination. Identifying areas of collaboration within and between organizations for action towards improving social determinants of Inuit health directly related to TB. The Government of Canada recognizes the importance in closing the health gaps between Indigenous and non-Indigenous peoples. Budget 2018 announced $27.5 million over five years to support an Inuit-specific approach to tuberculosis elimination. This is in addition to the $640 million over 10 years announced in Budgets 2017 and 2018 to address Inuit Nunangat housing needs. As such, our shared commitment to eliminate TB in Inuit Nunangat is met with a shared determination to meaningfully address the social determinants of health, which have a direct influence on the prevalence and transmission of TB, including poverty, food insecurity and inadequate housing. Together, we can improve these factors and achieve our goal of TB elimination in Inuit Nunangat.